I’m not very good at remembering to take photos for this, so I’m ending up with a load of snaps of the kids at the end of the day when I finally remember. Sorry about that! Will make a real effort to take more interesting photos from now on, promise! 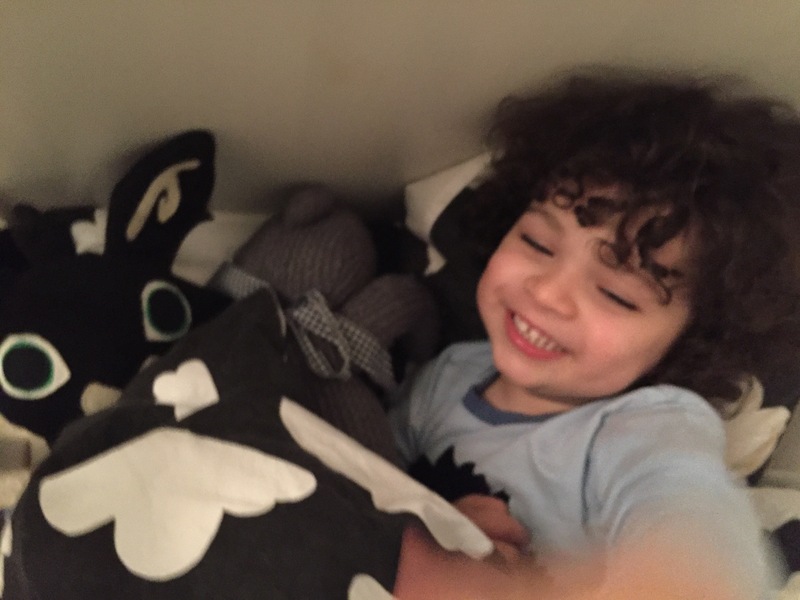 But for today here’s a blurry one of Omar in bed, just at that moment when I forgive him everything (including destroying my new Jo Malone candle with a spoon) because he’s so cute and small and my heart’s about to burst with love. My toddler did something similar at bedtime the other night, he managed to escape from his room (forgot to shut the gate properly, doh!) and he had spent a good 10 minutes opening and destroying my makeup bag.